The York Suburban Education Foundation (YSEF) is pleased to announce it has awardedÂ nine grants totaling $39,987.08 through its 2016 Grant program. These four grants were awarded a combined total of $10,000. The grants will provide students with adaptive furniture options that will enable them to focus and boost brain function, which research has shown to promote academic growth.Â In 2015, a similar YSEF grant was awarded, and outcomes proved to serve as an extremely successful pilot program. This $2,040 grant was awarded to support the high school Dual Enrollment Program. Funding is provided through corporate funds approved through the PA State Educational Improvement Tax Credit (EITC) program. This grant will enable selected students, who may not have the ability to pay for college course tuition, to experience college courses while still attending high school. ACT is a YS district strategic initiative to provide experiences that will increase the likelihood of post-secondary success. This new district initiative received a grant for $7,164 to benefit the increasing population of English language learners enabling them to have access to individualized language instruction. Many students at the primary level are still acquiring reading skills in their native language. This program will provide first-language support in 15 languages, while gradually translating reading for the students to begin acquiring essential English language skills. A grant of $1,500 was awarded for this is interdisciplinary program provided by the Pennsylvania Fish and Boat Commission, Pennsylvania Department of EducationÃ¢ÂÂs Environmental and Ecology, and Pennsylvania Trout Unlimited. This program will allow seventh grade students to raise brook trout in the classroom beginning at the egg stage of life, eventually releasing the trout in May into an approved Pennsylvania waterway. This $903 grant will fund implementation of an action based learning center. 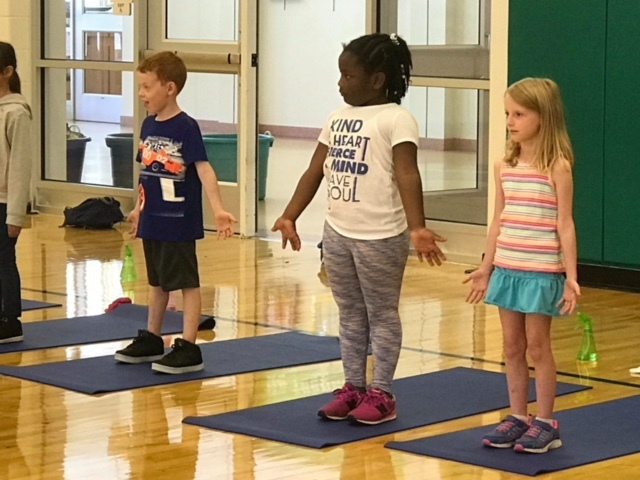 This grant will support a pilot program for kindergarten students whereby teachers will take an entire classroom and rotate students through a series of movement stations. Brain research links movement and physical activity to increased academic performance. This grant was made possible from endowment proceeds through the Jeffrey D. Sindicich Foundation, a named donor endowment fund held by YSEF at the York County Community Foundation.Â The fund is in memory of Jeffrey Sindicich, York Suburban graduate class of 1986. This York Suburban School District elementary summer enrichment program will receive $18,380.08, provided through corporate funds approved through the PA State Educational Improvement Tax Credit (EITC) program. This grant aims to reinforce reading, writing, math and science skills for rising 1st-5th grade students through teacher led activities. STEAM (Science, Technology, Engineering, the Arts, and Math) concepts will be incorporated to guide student inquiry, dialogue, and critical thinking. In addition to this on-site program, students will be encouraged to participate in the motivating summer reading program sponsored by the Martin Memorial Library to increase reading stamina and encourage a love for reading.